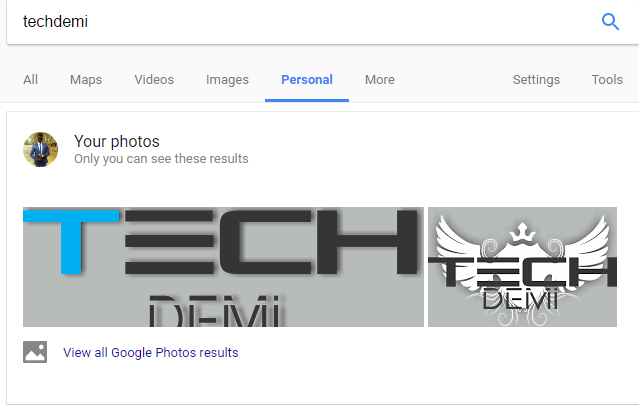 Something personal has added something to your search bar. Google has added a new tab to its Search application. Personal, the tab shows personalized search results from other Google Services that the you have subscribed to, including Gmail, Google Calendar, and Google+. Using the feature, I could search for my emails and photos (stored in Google photos). And as you can see in the screenshot from below, the results are private. The functionality is available for both desktop and mobile users of the service. If the Personal tab doesn’t show up, you can try finding it in the More menu.